I have a new post on Free Spirit Publishing's Blog! 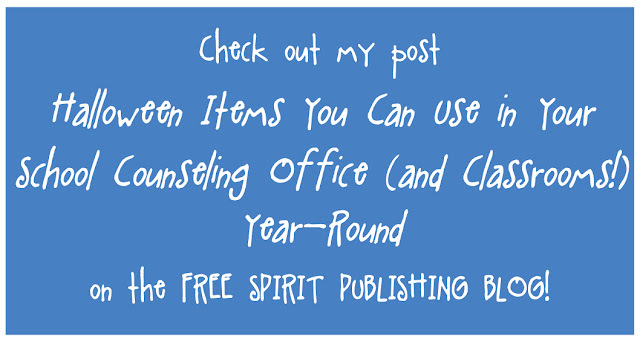 Check out my post Halloween Items You Can use in Your School Counseling Office (and Classrooms!) Year-Round. I share some spook-tacular after-season finds that are fun and budget friendly! What after-season finds do you use in your school counseling office or for classroom lessons? Please go to the post and share your ideas with others!